A Winner, but needs a larger sibling. I wish Google would make a larger one. 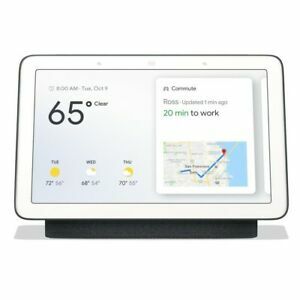 I have the Google Home Hub and the Lenovo Smart Display 8 inch. The Google Home Hub is just better. Better touch response, better design and the ambient sensor for images makes a massive difference. Perfect for a nightstand, but just too small for a kitchen. We really enjoy using it. It's fun seeing photos displayed all the time and still able to use the Google Assistant. A new Google Home Hub is the excellent gadget at home. Works good with Google Home app, so the lights and the coffee maker 😀 works in 'voice remote' mode too. It has a lot of services, so I need a few days/months/years to discover theys.